When Union troops in the hills south of Gettysburg, Pennsylvania, pushed back a Confederate onslaught 150 years ago today, it proved to be the turning point of the battle that turned the tide of the war. 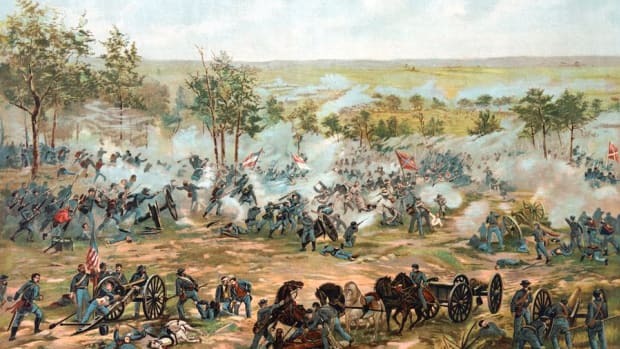 Even as it piled up victories in the West, the Union army struggled mightily in the East in 1862 and early 1863, losing the Seven Days’ Battles, Second Bull Run, Fredericksburg and Chancellorsville and drawing at Antietam. History appeared to be repeating itself when the Battle of Gettysburg broke out on July 1, 1863, as Union forces were driven through the town of Gettysburg into some hills just to the south. That evening Robert E. Lee’s second-in-command, General James Longstreet, advised against further engagement, preferring instead to maneuver between the Union army and Washington, D.C. “The enemy is there, and I am going to attack him there,” Lee purportedly responded. Although experts disagree about his objectives, Lee may have hoped for a knockout blow to end the war. Despite his misgivings, Longstreet was tasked with leading the massive July 2 assault on the Union left flank. 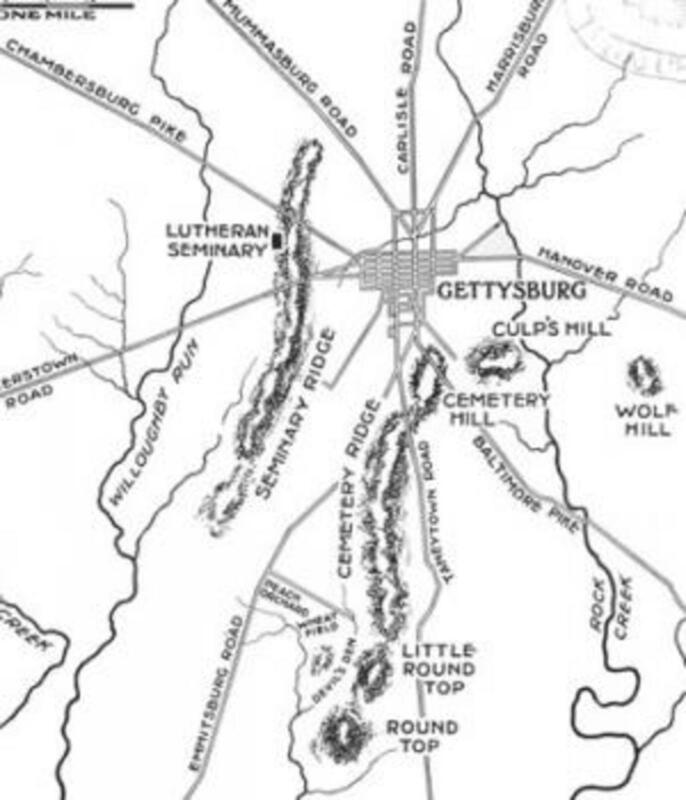 Lee wanted him to move as early in the day as possible, but he was unable to get in position until about 4 p.m. Longstreet’s men were also forced to make a time-consuming countermarch after coming in sight of a Union signal station on 650-foot-high Little Round Top. Meanwhile, Union General Daniel Sickles had moved his roughly 10,000 men forward of their assigned position in order to occupy higher ground. In so doing, he left Little Round Top essentially defenseless and cut himself off from the rest of the Union line. As Longstreet’s men prepared to attack, Union chief engineer Gouverneur K. Warren was sent to check out the situation on Little Round Top. Aghast that hardly anyone was up there, he immediately requested additional troops for what has often been referred to as the key to the Union position. Colonel Strong Vincent heeded the call and, without bothering to get the approval of his superior, hurried his four regiments to the area. 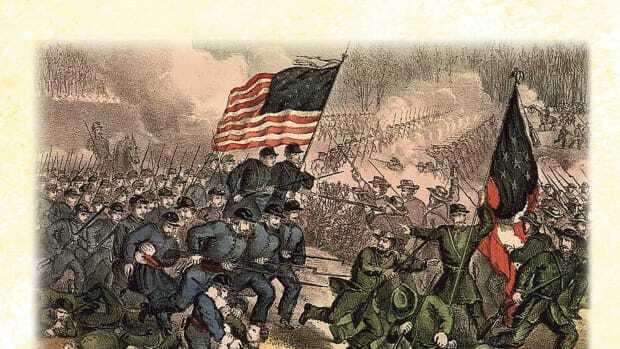 “Hold that ground at all hazards,” Vincent purportedly instructed Chamberlain, a Bowdoin College professor whose 20th Maine Regiment formed the extreme left of the line. Facing off largely against the 15th Alabama Regiment, whose men had walked about 25 miles that day just to reach the battlefield, the outnumbered Mainers repelled one assault after another. With their ammunition nearly gone, Chamberlain then ordered his troops to fix their bayonets and charge. 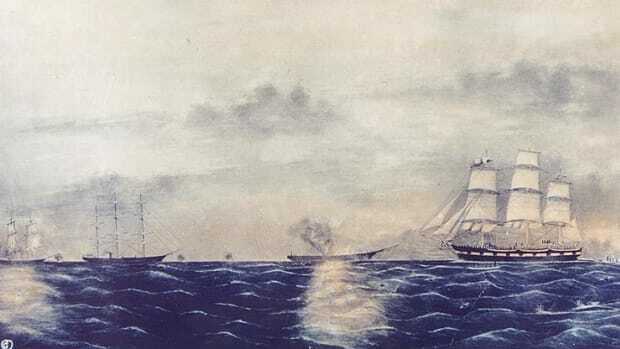 Many of the surprised Alabamans dropped their guns and surrendered, whereas others turned tail and ran. 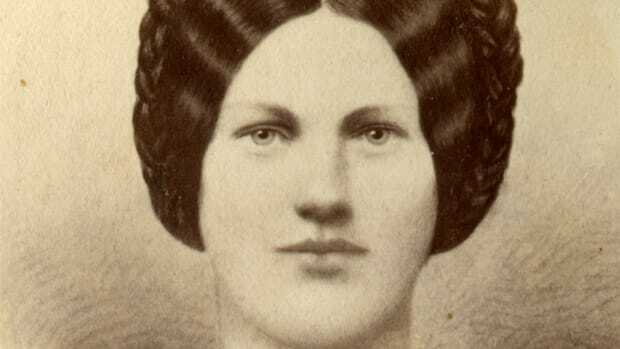 One northern reporter described all of this fighting as “by all odds the most sanguinary…yet chronicled in the annals of the war.” Yet it was just one part of the battlefield that day. On the right Union flank, several brigades under Confederate General Richard Ewell charged up Culp’s Hill and Cemetery Hill. They were met by, among others, Union General George S. Greene, who at 62 was one of the oldest officers at Gettysburg. “They’re sort of in the same predicament as Joshua Chamberlain,” said Angie Atkinson, park ranger at the Gettysburg National Military Park. “Greene’s the end of the line. There’s no one else beside him.” By the time the fighting petered out there around 10:30 p.m., the Confederates had taken over some abandoned trenches on Culp’s Hill. They had also gained a toehold on Cemetery Hill, a prime location for artillery, but were soon pushed back by Northern reinforcements. “What complicated matters is that it was getting late, and you can’t really fight in darkness during the Civil War,” Atkinson stated. 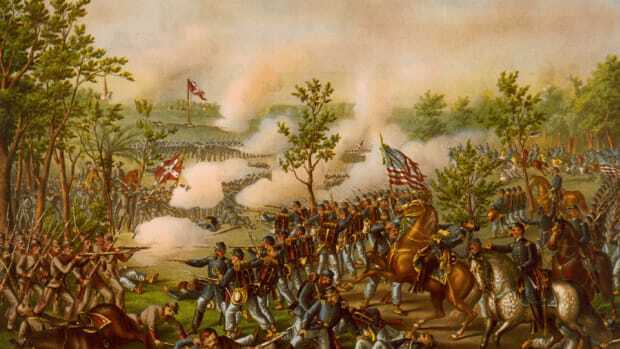 A Union private later described the skirmish on Cemetery Hill as “where the Battle of Gettysburg came nearer being lost than at any other point.” Many early visitors to the battlefield agreed, flocking there as opposed to Little Round Top, which the National Park Service “didn’t even consider important enough to clean it out and make it accessible,” according to Blair. All of that changed, however, following the 1974 publication of the historical novel “The Killer Angels” and the release of its 1993 film adaptation “Gettysburg,” both of which emphasized Little Round Top at the expense of Cemetery Hill, Culp’s Hill and elsewhere. 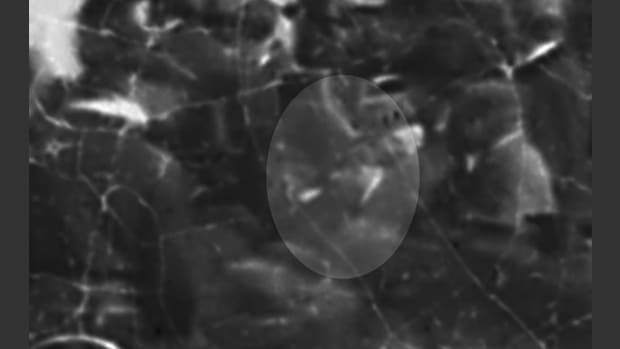 Among historians, no consensus has emerged on which section of the battlefield was most important. “Everyone kind of has their own take,” Atkinson said.